(San Diego, CA) – Founded at the crossroads of cultures, SouthNorte Beer Co. seeks to bring together the best of both sides of the border. This ethos is exemplified by the Dos Californias Brewsters project that SouthNorte helped found in 2018. 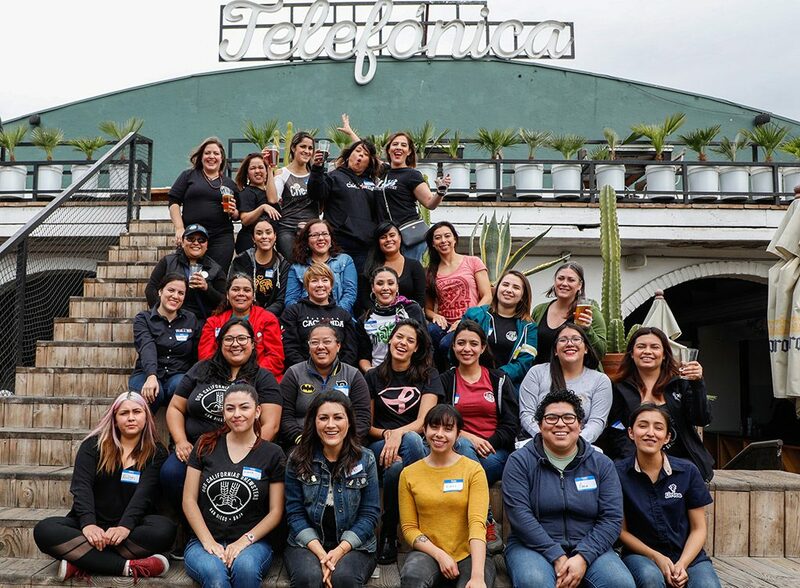 SouthNorte, with help from the U.S. Consulate in Tijuana, founded Dos Californias Brewsters as a way to bring together women in the brewing industry from San Diego and Baja California, Mexico. In anticipation of International Women’s Day, Dos Californias Brewsters reunited in February to brew its second annual cross-border collaboration. The beer will debut at the Ensenada Beer Festival later in March. Born from a shared vision to connect women from both sides of the border, this pioneering group crafted the first-ever women’s cross-border collaboration in 2018 and joined forces again last month to brew its second collaboration beer. Supported by generous donations from Yakima Chief Hops, yeast from White Labs, and a malt grant from the U.S. Consulate in Tijuana, this year’s beer is a hoppy pale ale. The brew day took place on February 2 at SouthNorte’s brewery in Telefonica Gastropark, downtown Tijuana. All proceeds from Dos Californias Brewsters collaborations go to fund scholarships for women aspiring to enter the brewing industry. Through a partnership with the Institute of Technology in Tijuana (ITT), Dos Californias Brewsters will award annual scholarships to women in the school’s brewing sciences program. Last year’s brew helped to fund four partial scholarships to the program, and this year’s goal is to fund several full scholarships as well as help with new equipment for the classroom. SouthNorte Beer Co. and Dos Californias Brewsters are proud to connect women in the brewing industry through cross-border collaborations, empowering the next generation of brewsters one beer at a time. This year’s Dos Californias Brewsters collaboration will debut at the Ensenada Beer Festival, March 22-23, at the SouthNorte booth. For more information about SouthNorte and Dos Californias Brewsters, visit www.southnorte.com and www.doscaliforniasbrewsters.com. Crafted with an accent, hecho en San Diego. ¡Salud!